Ben-Amun velvet glamour deco drop earrings. 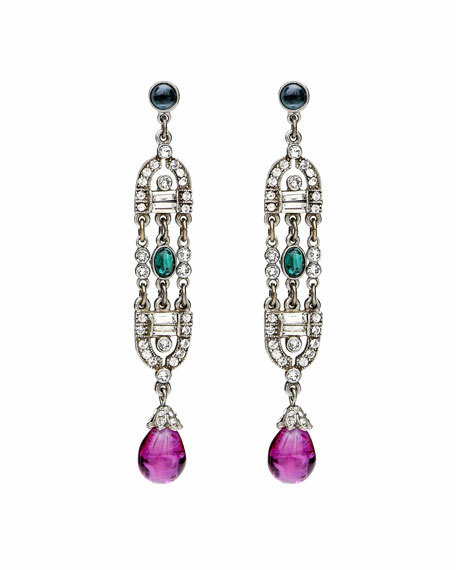 Glass sapphire, emerald and pink stones. Clear round Swarovski® crystal frame.